What To Serve With Stuffed Peppers That Are Easy And Simple? 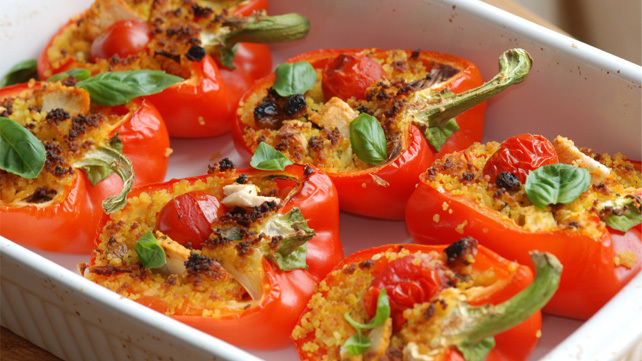 →What To Serve With Stuffed Peppers That Are Easy And Simple? 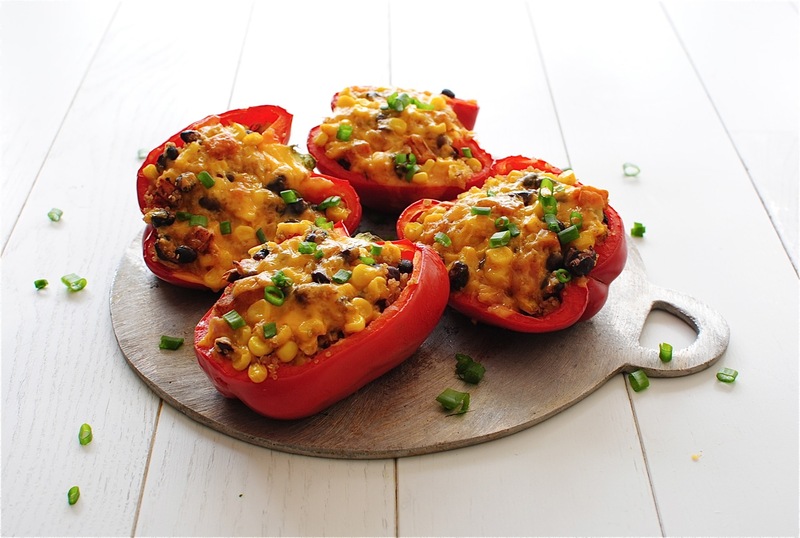 Do you love stuffed peppers? What can you serve the stuffed peppers with? How do you fill the peppers? These are some of the questions that may be disturbing us when it comes to stuffed peppers. The following are some of the recipes that can help us when it comes to what to serve with stuffed peppers. You can try them all. What To Serve With Stuffed Peppers? Scrub and wrap the potatoes in aluminum foil separately. ​Arrange the potatoes above the indirect heat region of the grill. Cook for about 1 ½ hours. They should be tender. Transfer the potatoes to a plate for them to cool down while they are still wrapped, for about 10 minutes. Cut the peppers in half and preserve them. Discard the seeds and the ribs. You can trim the low side of the peppers to help them sit properly. Unwrap the potatoes and scoop into a bowl. The skins should be discarded. Add the milk, cheeses, butter, sour cream, the whites of the scallions, pepper, and salt. Mash the mixture to blend well. Fill the bell peppers with the potato mixture. Place the stuffed peppers on the indirect heat region of the grill. Cook them while the lid is closed for about 15 minutes. Ensure that peppers don’t collapse. When the stuffing is ready, place the peppers on a serving plate. Use the green scallions to garnish. Serve them while they are warm and enjoy. Put the water and rice in the saucepan and boil. Lower the heat and cook for about 20 minutes. It should be covered. ​Cook the meat in a ﻿skillet over medium heat. It should be brown. Cut the bell peppers and discard the tops, membranes, and the seeds. Arrange the peppers on the baking dish with the cut sides facing upwards. Mix the meat, cooked rice, garlic powder, salt and pepper, Worcestershire sauce, the onion powder, and a can of tomato sauce in a bowl. Scoop the mixture into each pepper using a spoon. Mix the Italian seasoning with the remaining tomato sauce in a bowl. Pour the mixture over the peppers. Bake the peppers for about an hour in the oven. Baste the sauce after every 15 minutes. Cut the peppers in half and remove the ribs, seeds, and leave the stem. Set them aside. Mix the beans, cilantro, rice, pepper and salt in a bowl. Arrange the peppers in the baking sheet and cover with the aluminum foil tightly. Put the peppers in the oven and bake for about 40 minutes. Remove the foil and sprinkle some cheese evenly. Put them back in the oven for the cheese to melt. This will take about 5 minutes. 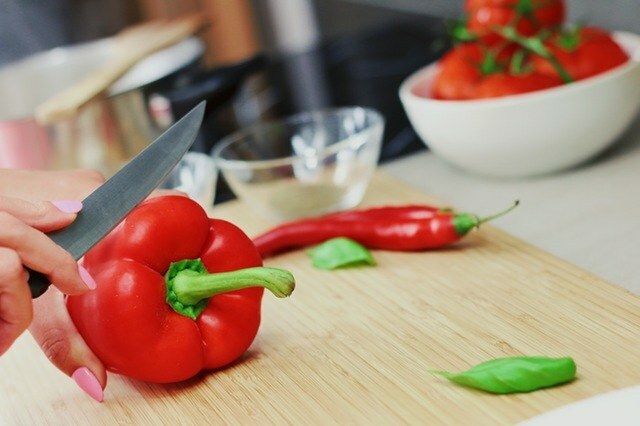 Put the cut peppers without the seeds and the membrane in boiling salted water. Boil for about 5 minutes. Mix a half of the breadcrumbs with the onions, egg, salt and pepper, milk, salmon, and lemon juice. Fill the peppers with the breadcrumbs mixture. Mix the remaining breadcrumbs with margarine and the cheese. Sprinkle the mixture over the filled peppers. ​Place the peppers in the baking dish and bake at 400 degrees for about 15 minutes. Let the stuffed peppers cool slightly before you serve. Preheat the oven up to 175 degrees C.
Put them in the preheated oven and bake for about 15 minutes. Take them from the oven. Over medium heat, cook the turkey in a skillet until it is brown. Heat the olive oil in a pan and cook the onion, zucchini, the red bell pepper, the spinach, the yellow pepper, and mushrooms. Put the turkey in the skillet. combine with the tomato paste and the tomatoes. Season with the garlic powder, Italian seasoning, pepper, and salt. Fill the peppers with the mixture and put them back in the oven. Bake for about 15 more minutes. Let the peppers cool down slightly before you serve. How do you make stuffed peppers? What do you serve with stuffed peppers? Which type of peppers do you like? 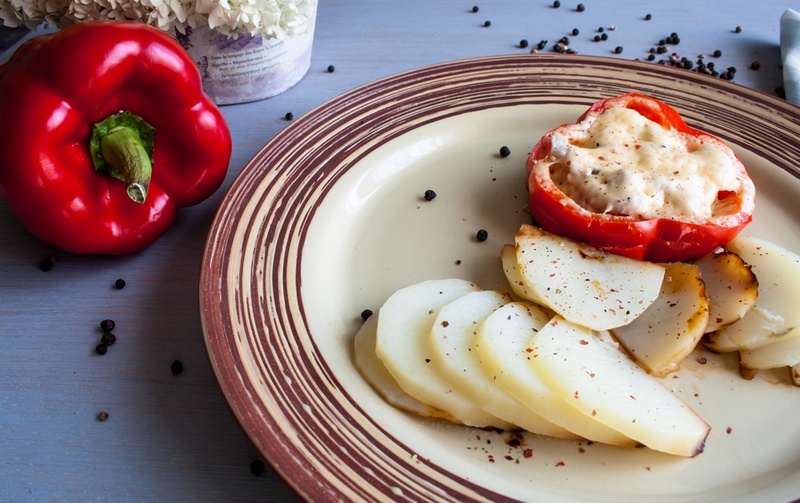 These are some of the foods that you can serve with stuffed peppers. If you have any question, feel free to ask in the comments section. You can also share the above information with others. If you love stuffed sausages, you can buy the best ﻿sausage stuffer.